Home > Entertainment > Build A Bear | Pay Your Age Event! 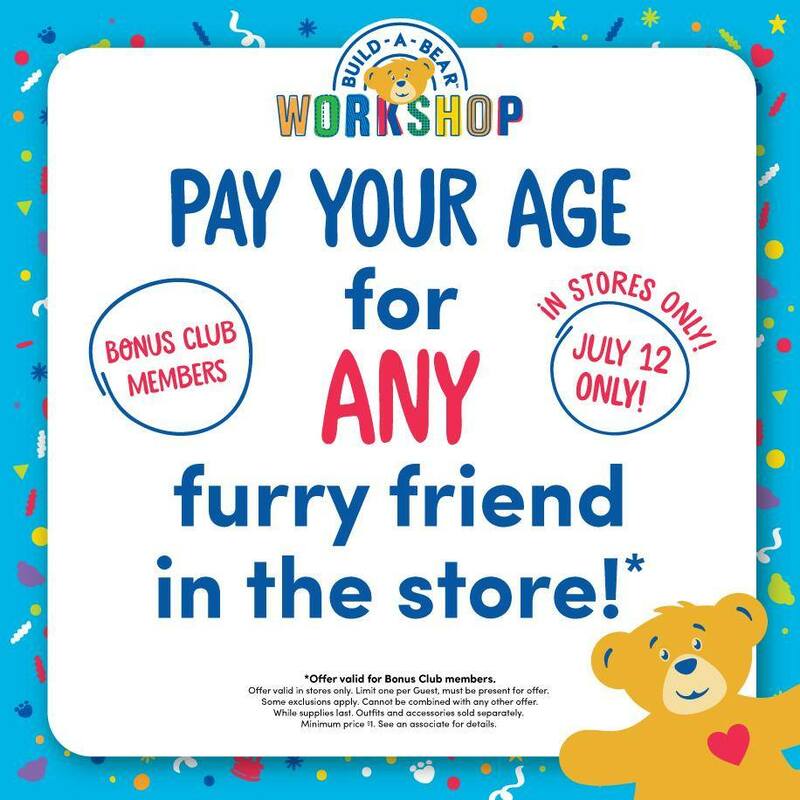 Build A Bear | Pay Your Age Event! Heads up Build A Bear fans! Head into your local store on 7/12 for its first Pay Your Age Day. You’ll be able to pay your (or really your child’s) current age for ANY Make-Your-Own furry friend available in the store. Over 29? Don’t feel completely left out! Guests will pay no more than $29 for any furry friend in the store. So even if you’re 100, you can be 29 again. The younger your kids are, the more you save! They are also starting a new “Count Their Candles” program and pay their age Birthday Treat Bear. This is avaialble when kids 14 and under visit during their birthday month. To participate, you can enroll your children in the program here. You’ll need a valid email address and name. See more frugal entertainment deals.